“And they’re off!” As the thundering of hooves stormed by the grandstand, I watched enraptured as horse and rider soared over the jumps in dense clusters before making another dash towards the next fence. 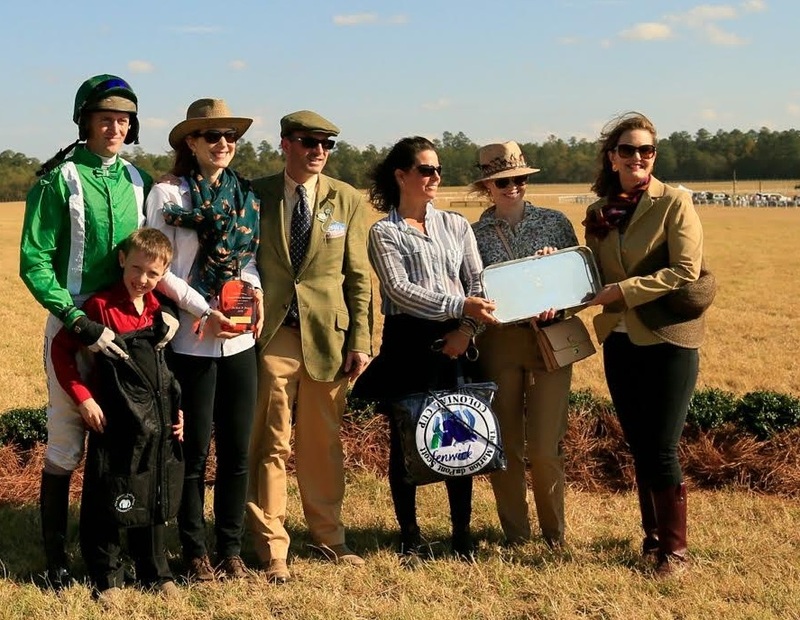 It has been many years since I last attended The Carolina Cup Racing Association’s annual Marion du Pont Scott Colonial Cup as a young child, and this year I found out just how much I have been missing. Each year on the Saturday before Thanksgiving, this fabulous steeple chase takes place at the Springdale Race Course in Camden. 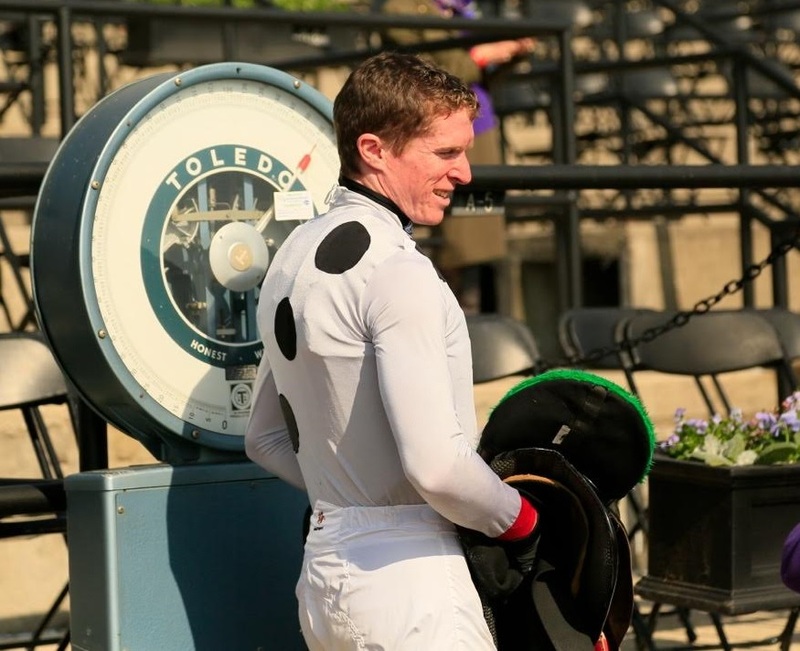 The first International Steeplechase in America, the Colonial Cup was the richest steeplechase in the country when it began in 1970 with a $100,000 purse, ranking it just behind The Grand Steeplechase of Paris, the richest steeplechase in the world. In the early years, horses from three continents and 10 countries were invited to the race. 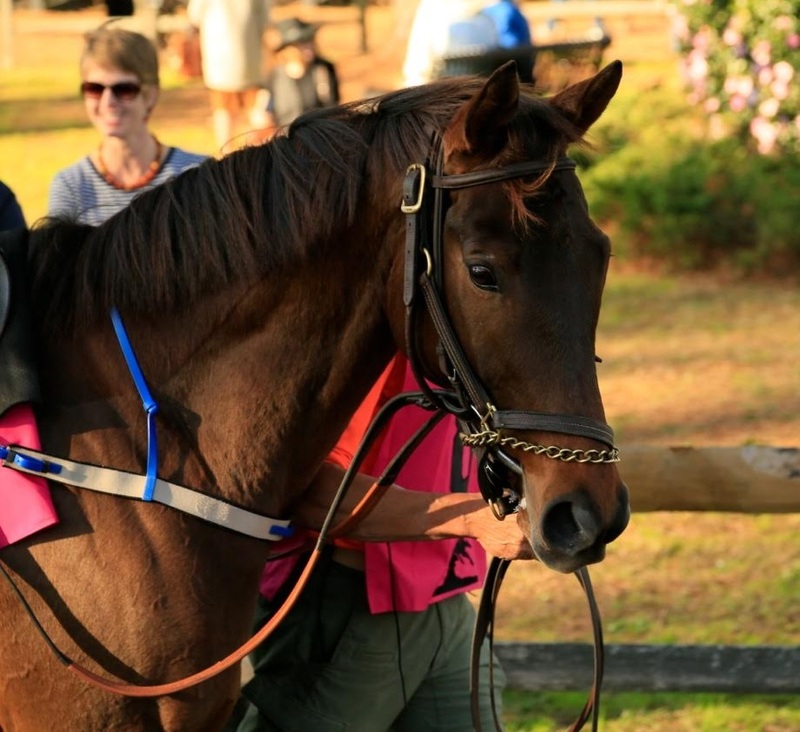 While the race still attracts talented foreign runners, the horses are now owned by Americans. The Colonial Cup is also the last steeplechase of the season, making it a very coveted victory as the outcome can often determine the year-end awards. It is additionally the last Grade I stake of the season, so all the undercard races are championships. For spectators, the Springdale Race Course offers a unique panoramic view as the 2 ¾ mile course features an inner loop and an outer loop design. No portion of the course is repeated; all 18 fences are jumped a single time. 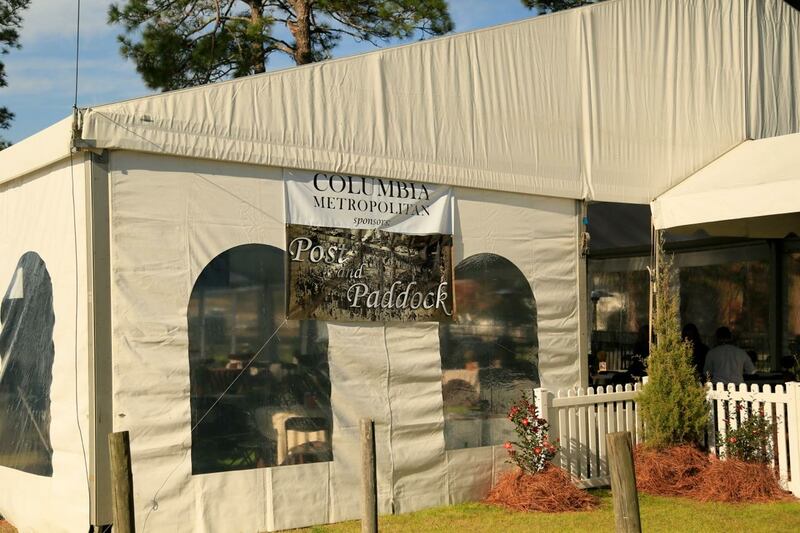 We at Columbia Metropolitan were honored to be the Post & Paddock Tent sponsor at this year’s event. Our tent looked out on the paddock where the horses warmed up before the races and where the jockeys mounted before filing out onto the race track. We also participated in the Post & Paddock Shoppes where the likes of Orvis, Barbour, Dubarry of Ireland and Alan Flusser also had booths. Our first stop of the morning was to check out the infield festival events—namely, the terrier races, the whippet races and the falconry demonstration. 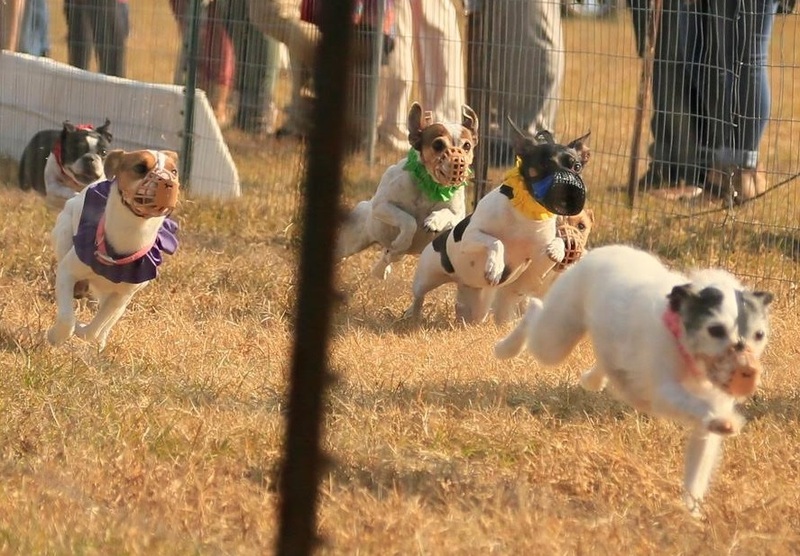 I had never watched a dog races before and was delighted at the Jack Russells running their hearts out to catch the rapidly retracting lure. Similarly, the whippets dashed after a lure with such a thundering of their tiny, graceful feet that I would have hardly thought possible. There was also a Novemberfest micro-brew tent, mule carriage rides and fox hound puppies for cuddling by The Camden Hunt Club. The first of the seven races had an 11:30 post time, and we enjoyed watching the paddock as the grand, sleek animals paraded by, making guesses as to who the victor might be. Each race was about 30 to 45 minutes apart and was announced by the unmistakable trumpeting of the race’s start, at which point we progressed over to the grandstand. In the between time, we feasted on the delicious food and drinks in the Post & Paddock Tent and enjoyed catching up with the many familiar faces also attending the races. The weather was sunny with a refreshing breeze, and everyone looked fabulous in their country fall attire. Emily Clay, my mother, and I were honored to present the trophy in the winner’s circle of the third race, the Raymond G. Woolfe Memorial with a $25,000 purse, run in honor of Marion du Pont Scott’s trainer of many years as well as the longtime manager of Springdale Race Course. Invocation, a French Horse, was the winner, trained by Joe Davies and ridden by Patty Young, who was last year’s Champion Jockey. 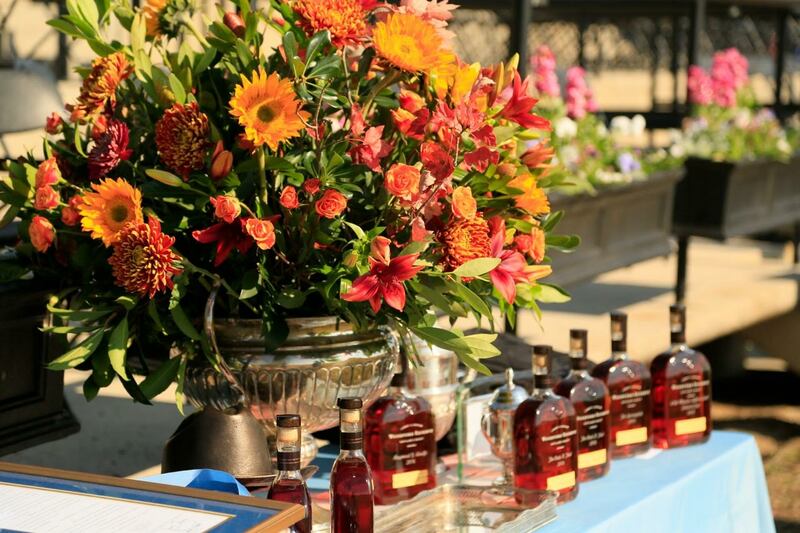 We presented a silver engraved tray, as well as a bottle of Woodford Reserve Bourbon, engraved with race’s name, to Straylight Racing, LLC – the proud owners of Invocation. 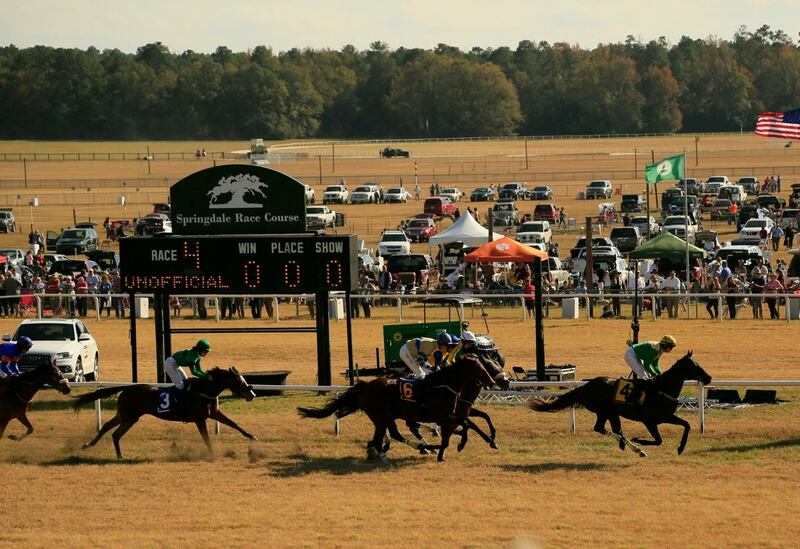 Our calendars are already marked for next November, but before then we look forward to returning to the Springdale Race Course for the much anticipated Carolina Cup on April 1st!